Should the Rhino horn trade be legalized? « What Happened to the Portcullis? Should the Rhino horn trade be legalized? Rampant poaching in Africa is a cause of major concern to wildlife organizations. Many rhinos are killed every year mainly for Asian markets. In Vietnam, rhino horn is believed to be miraculous, able to heal cancer. A total of 158 rhino have been poached since the beginning of the year, according to the South African Department of Environmental Affairs. Over 630 rhino were killed by poachers in South Africa during 2012. If the killing of rhinos continues to increase, African wild rhinos could disappear within a few years. The best protected rhinos live in Kenya. Four of them, known as northern white rhinos, are the last of their kind. Each one of them has four bodyguards to guarantee its survival. But most of the other 25,000 rhinos in Africa do not enjoy such protection. The trade in rhino horn is illegal. However it is flourishing, most of the horn coming from South Africa, where most rhinos live. Hunters are willing to pay up to 20,000 euros ($26,000) to shoot a rhino and take the trophy home. Rhino poaching has increased tenfold in the last five years, according to the nature and animal protection organization World Wide Fund for Nature (WWF). The conference singled out Vietnam as the main importing country and Mozambique as a major transit country for rhino trafficking. This is the first time that countries were named at CITES. The two countries now have a few months’ time to address the problem constructively. Mozambique is poor but CITES’ regulations are also valid there. To learn how to fight against poachers effectively, the country may seek advice from environmental and conservation organizations. In the case of Vietnam, lack of political will seems to be the major problem. Even Vietnamese embassy staff were involved in the illegal horn trade. Vietnam is now under pressure. By January 2014, Vietnam as well as Mozambique have to prove that they are able to fight against horn trafficking from southern Africa, or else sanctions will be imposed. In addition to stricter controls, the WWF and other animal welfare organizations are implementing awareness campaigns. In Vietnam there is a belief that the powder from the horn of the rhinoceros can help against fever, prevent a hangover or even cure cancer. These claims however, are dismissed by scientists. The horn consists of the same material as fingernails and hair. Nevertheless, Vietnamese are willing to pay more than 40,000 euros per kilogram, more than the price of gold. 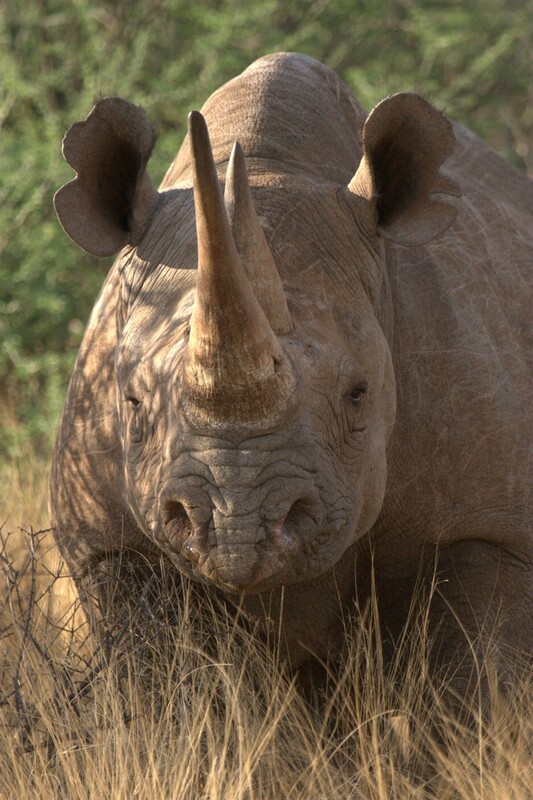 Since horn grows like fingernails, rhinos should be bred specifically for the horn trade. The horn could be cut off when the animal is under anaesthetic. That way the animal doesn’t suffer pain. This is done to a quarter of the animals living in South African private game reserves, where dead animals’ horns are not allowed to be sold. If these horns are legally harvested and put on the market, prices and poaching would decrease, argues Biggs. The WWF and many other organizations vehemently opposed the legalization theory. A boom in demand and even worse poaching could result if horns are on the market in large quantities and at cheaper prices. “A change from the elite-trend to mass-trend will be like lighting a fire that will be difficult to extinguish”, said a WWF spokesperson. The dynamics of illegal rhino poaching paint a vivid reality. Is this really any different of narcotics and money-laundering, human-trafficking and counterfeiting? I think not. In many instances its the same ‘operators’ at play preying on weak human instinct and a complete lack of morals! On the other hand I suppose, based on the reasoning of scientist Biggs, one could say legalising narcotics and prostitution would be the ‘right thing to do’ since we have a “buffer of healthy unemployed woman and youth” ??? 2 responses to Should the Rhino horn trade be legalized? this is both interesting and disturbing. the problems of pouching etc have been on the discussion long enougth that sanctions should have implemented already. the problem of procastination on this matter is that more of these rhinos will be gone. the saying goes “you cant expect a different result while you keep doing the same thing over and over again”. clearly the illegal trade has not protected rhinos perhaps a different approach needs to be given chance.